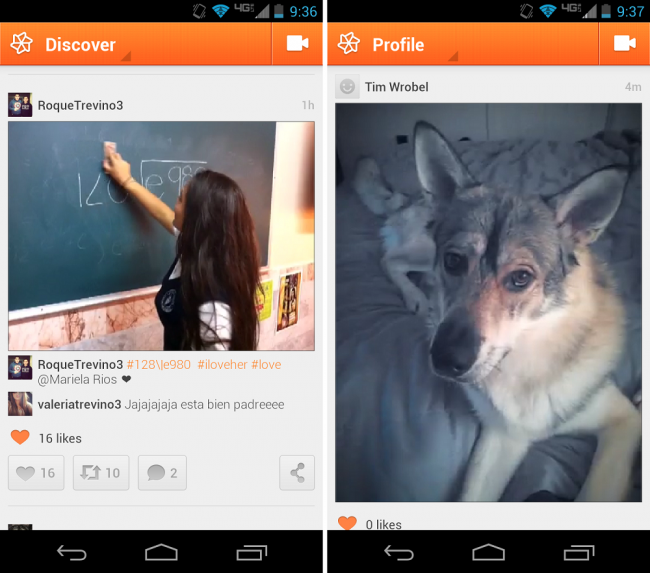 After teasing the app for some time, Cinemagram is finally available for Android. For those not in the know, think of this application as Vine, the video/GIF-sharing app on iOS. You record four seconds of video, apply an effect and then let it rip. The video then either rewinds itself back and forth or repeats itself from the beginning. The app is laid out like Instagram, but instead of still shots, you see GIF-like posts from friends and people you follow. Making a “Cine” isn’t hard at all. Simply point at what you want to shoot, hold down the record button for as long as you choose (up to four seconds), apply a video filter (or don’t), and then publish. Before I make any real judgment, I will have to try the app out, but so far it isn’t bad at all. Go check it out and have some fun.